According to Research and Markets, CIPP pipe lining is forecast to be worth $2,486.5 million by 2022. This is due to an increasing demand for less invasive pipe rehabilitation techniques as building owners and cities struggle with aging plumbing pipes and crumbling infrastructure. The reason for the uptick in CIPP is due to city officials and property owners searching for a way to trenchlessly and quickly repair and rehabilitate their aging plumbing pipes. For example, many of Chicago’s plumbing pipes are well past their useful lives. According to Houselogic, the maximum useful expected life of potable water pipes is 70 years, and while drain lines can last indefinitely, other factors can affect their long-term viability, like shifting soil, corrosion and acidic water. Chicago also suffers from the risk of lead contamination due to aging municipal water pipes that were manufactured out of lead. While this doesn’t pose an immediate risk, and Chicago regularly tests their water, there is still the possibility of unsafe levels of lead reaching homes, tenant units and commercial buildings. Unfortunately, Chicago isn’t the only city with drinking water problems. The most talked about and well-known is Flint, Michigan, where residents cannot use the water flowing from their taps for drinking, cooking or even bathing because it is so contaminated with lead and other unsafe chemicals. Other cities with unsafe drinking water include Sebring, Ohio, Greenville, North Carolina, Jackson Mississippi, according to The New York Times. Waterborne illnesses from unsafe drinking water are also on the rise. Instances of Legionaries disease in the United States has increased more than four times over the last 15 years, according to The Washington Post. In 2015 in Chicago, three schools were closed due to a Legionella outbreak, according to CNN. In January of 2018, there was an outbreak in a veterans’ home in Quincy. While there is little you can do about the city’s water supply and aging pipes, there is something you can do about your building’s aging water supply pipes and drain pipes to help keep your water clean and safe and your drains flowing. 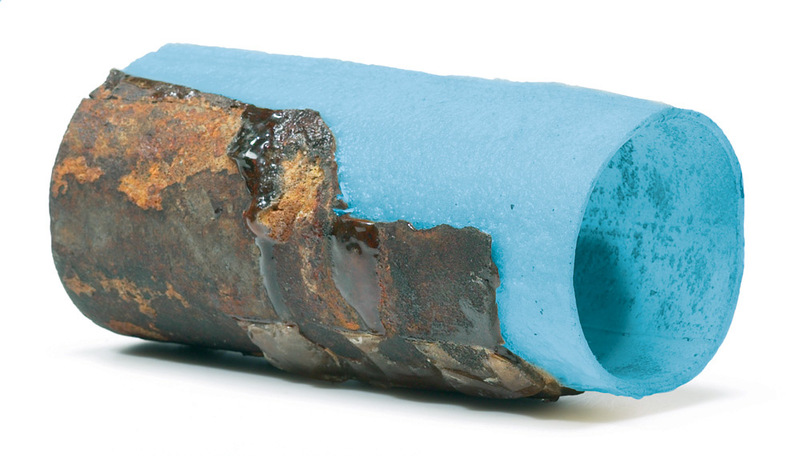 Cured in place pipe lining and epoxy coatings can help restore your plumbing pipes. These methods of pipe rehabilitation are designed to stop leaks and prevent water from coming into contact with your metal or plastic plumbing pipes. 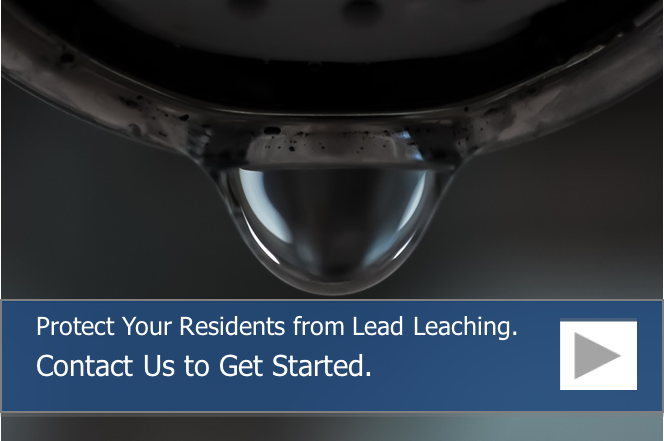 By not allowing the municipal water to come in contact with the host pipe, there is less chance of your drinking water leaching metals and chemicals from the pipe materials. Epoxy coatings are generally used for small diameter potable water pipes. These coatings are blown through the pipe to be rehabilitated. As the epoxy moves through the pipe, it coats the entire diameter, which seals pinhole leaks and small cracks. Cured in Place Pipe lining involves inserted a pipe liner that has been soaked in epoxy into the pipe to be rehabilitated. This method is used for drain lines and sewer lines where the pipes are severely corroded or clogged, or the pipe has partially collapsed. Here at Nu Flow, we strive to go above and beyond when it comes to lining the pipes in your commercial or multi-unit residential building so that you can enjoy clean, fresh water and optimally flowing drain pipes and sewer lines. The pipe lining process restored corroded and deteriorating plumbing pipes by sealing small leaks and preventing water from coming into contact with the host pipe. The best part is that epoxy pipe liners are rated to last just as long as new plumbing pipes, and we offer a 10-year guarantee on our work. To learn more about how CIPP can rehabilitate your plumbing pipes, call us at 815-790-9000.